Arun Kumar Sinha (27 August 1940-28 November 2011) was Professor in English at Langat Singh College (established in 1899), B R A Bihar University, Muzaffarpur, Bihar, India, from where he retired as its Principal in the year 2000. An acclaimed social activist, one of the important pillars of Teachers’ Movement, especially in North Bihar, and a committed teacher, he is known for his work on T S Eliot and Mark Twain, on the one hand, and his role and contribution to the Socialist and Sarvodaya Movement, on the other. He was also Convener, State Intellectual Cell of Bharatiya Lok Dal, Bihar in the 1980s, and a Member of its State Executive in 1980s, which was led by Chowdhary Charan Singh, a former Prime Minister of India, at the national level. Prof. Sinha was the elected President of L S College Teachers’ Association for four times in the 1980s and 1990s and was twice elected General Secretary of the Combined Teachers’ Association of L.S. College and Bihar University PG Departments’ College and University Teachers in the early 1980s. 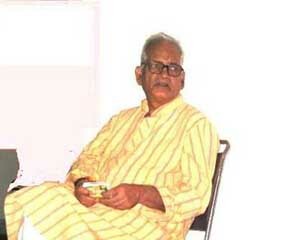 In the 1980s and 1990s he served as the Chief Editor of the L S College Magazine ‘Vaishali’. Prof. Sinha was born at village Saramohanpur in Darbhanga district, in north Bihar to Shri Bam Bahadur Lal Verma (1894-1962) and Smt Parekhan Devi (perhaps six years younger to her husband, she passed away in 1969) as the youngest child among six brothers and three sisters (a twin sister-brother, however, passed away due to Tuberculosis in early 1940s when Prof. Sinha was hardly a few years old). His father was a mulch-faceted personality, whose commitment to education with a rebellious streak, left a mark on all his children, including the youngest one. It may be necessary to refer to an article published posthumously in the Hindi daily ‘Navrashtra’ on Shri Bam Bahadur Lal Verma, written by his third son (actually fourth, but came to be identified as the third son –sanjhla—due to early death of his immediate elder brother as mentioned), Shri Badri Narayan Sinha (4th April 1930- 7th November 1979), an officer of Indian Police Service (1952 batch, Bihar Cadre), and an eminent poet-critic of his time, so as to understand the kind of father that Prof. Sinha had which actually provided him the essential training and commitment to life, education, and society. During his childhood Sinha was taught by his father at his village home only, and it was only when he turned 11 that he was taken by his father to Marwari High School, Darbhanga for admission in class 9th. Considering the age of Sinha, the school authorities were not keen on giving him admission in such a high class; however, on the insistence of his father the teachers took Sinha’s test of English grammar, translation, prose writing and arithmetic. Finding Sinha’s understanding of these subjects quite satisfactory, he was granted admission in 9th class. Thus, when in 1953, Sinha matriculated, he was hardly nearly 12 and half years old. He took admission in C M Arts College, Darbhanga in Intermediate Arts (I.A). After passing out from I.A in 1955, he took admission in English Honours in the same college, and graduated with Honours in 1957. In 1957, he moved to Langat Singh College, Muzaffarpur, to pursue post-graduation in English Literature. However, when in 1959, he took his MA exams, he dropped out after writing only four papers. The fourth paper was ‘Essay Paper’, in which the student had to write a full length essay on a given subject. He would repeatedly narrate the sequence of events leading him to drop out. In the Essay Paper, he chose to write on ‘Treatment of Hell in English Literature’. He thought that he would touch upon the classical literature like Homer’s Odyssey, come down to Shakespeare and Dante, and while touching upon neo-classical and romantic age, he would wind up with Eliot’s ‘The Waste Land’ and Modern literature. However, after writing full four pages, he thought that he was not able to handle the topic well. He left midway. Scared that since his one paper had not gone well, he decided to drop out of the exams and attempt to clear MA the next year. He, however, always regretted the decision. He secured 56 marks in that half written Essay paper of 1959, ironically the similar marks that he got in the Essay Paper when he completed his MA in 1960 exams. Prof. Sinha always stated that perhaps his being just 18+ at that time impacted his rather immature decision to drop out. It so happened that during that intervening period, the job situation became suddenly tough. 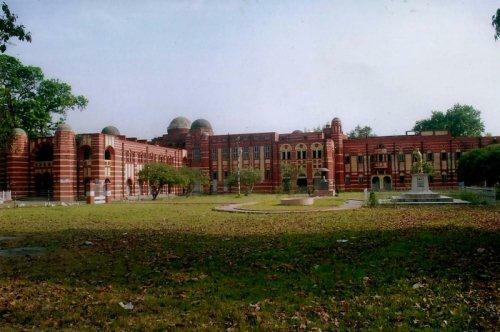 While all those who passed out in 1959, generally got lectureship in good colleges, Prof. Sinha had to first join Pandaul College, Madhubani as a temporary lecturer in 1960. From there, he moved to a college in Narkatiyganj, again as a temporary lecturer, before getting a permanent lectureship in M J K College, Bettiah. However, after teaching there for six months, Prof. Sinha moved to M S College, Motihari as a Lecturer in English, joining on 5th December 1961. Refusal to join Indian Foreign Service (Allied) Prof. Sinha got an appointment to Indian Foreign Service (Allied) in 1964 through the civil service examination conducted by Union Public Service Commission. However, he was desirous of joining Indian Administrative Service. Moreover, Indian Foreign Service (Allied) appointment would have taken six years to get upgradation as Class I IFS. 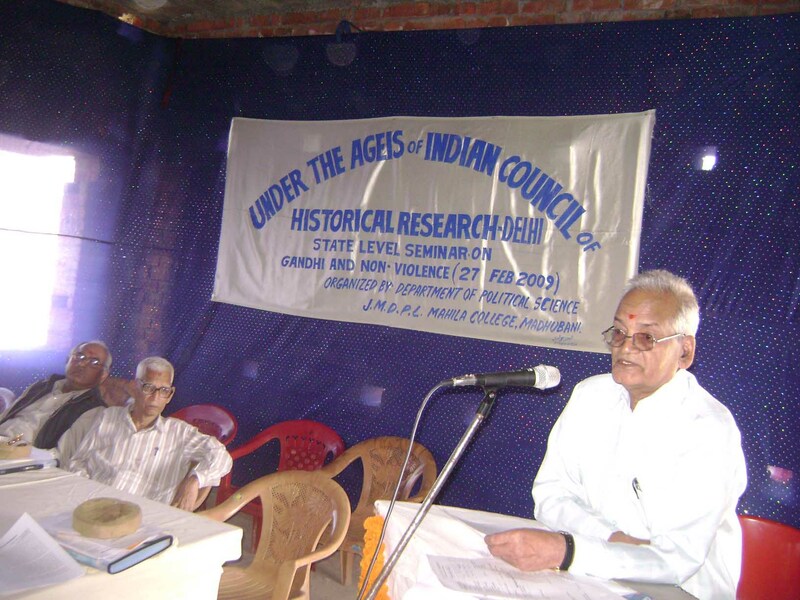 Prof. Sinha, being more than satisfied with teaching career, refused to join the IFS (Allied), even though by the time of retirement the service would have given him minimum three postings as an Ambassador of India.However, Prof. Sinha never regretted his decision not to join IFS, more so, because he was more oriented towards working for his immediate surroundings and the life and career of a diplomat was hardly the one that he craved for. The fact that he never thought of availing himself of another opportunity (he still had one attempt left) to ‘clear’ civil service shows how satisfied and happy he was in the academic field. Sinha got married to Smt. Kamla Sinha, BA (1964) in 1966. Smt. Kamla Sinha was the fifth daughter of the noted advocate and freedom fighter Shri Baldeo Narayan (1900-1985) of Samastipur, Bihar. Shri Baldeo Narayan had worked closely with Dr. Rajendra Prasad, the first President of India, during national movement, especially during non-cooperation movement of 1922-23, and Civil Disobedience Movement of 1930s, launched by Mahatma Gandhi. Shri Naryan was also President of Samastipur Congress Committee during pre-indepedence days, and was closely associated with the Theosophical Society’s programmes and activities. His only son, Dr. B N Prasad, is one of the most eminent physicians of Samastipur. Later in his career, Prof. Sinha wrote a fine longish nearly 100 page introduction to Huckleberry Finn and did an Intensive Study of T S Eliot, both published as books by Spectrum Books, New Delhi, the first one with the text of the novel. He co-authored the Eliot book with his son. He wrote on long poems like The Waste Land, Ash Wednesday and also ‘Ariel Poems’, while his son wrote on Prufrock volume and POEMS 1920 volume, The Hollow Men. The 85 page Introduction was largely by him. It is nearly 500+ pages one of its kind study with intensive annotations and critical essays on individual poems written over a period of 6-7 years published so elegantly by Madam Kalpana Rajaram, Editor and Publisher of Spectrum. On its publication, the work on T S Eliot featured under the ‘New Arrivals’ section of the national daily ‘The Hindu’, . Another leading daily ‘The Hindustan Times’ called it ‘a comprehensive critical perspective on Eliot written with the academically-oriented reader in mind.’ . 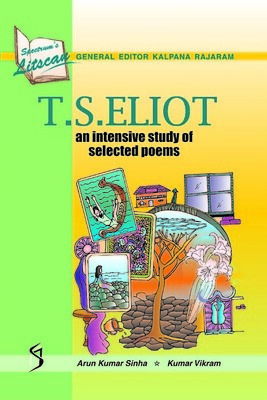 The T S Eliot book has been available on major online book stores like Flipkart.com, among many others. . The prestigious National Library of India based at Kolkata (previously Calcutta), besides many others, have made it a point to keep the book on their shelves. . The book has been on the list of ‘Further Reading’ of the wikipedia page on ‘T S Eliot’ since its publication. .
A reviewer stated: “The Eliot reader and scholars who have gone through the annotations of critics like George Williamson, B C Southam or Manju Jain etc may find the present study of the selected poems more comprehensive and insightful.” . 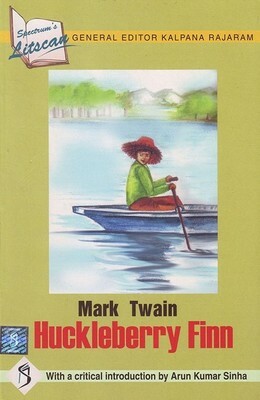 The Huckleberry Finn title is being sold on-line to US and UK readers by biblio.com. besides the Indian stores like flipkart.com . 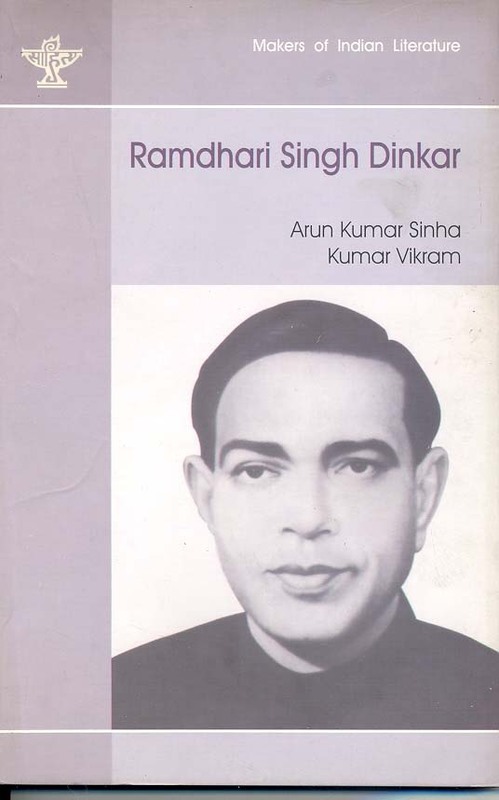 Prof. Sinha also translated the monograph of Ramdhari Singh Dinkar from Hindi to English with many long passages in verse from Dinkar for Sahitya Akademi   –published by the Akademi to commemmorate the birth centenary year of Dinkar in 2007. This English translated biography of Dinkar has become an important reference point for the English readers desirous of knowing about the great Hindi poet, Dinkar, with the wikipedia page on Dinkar referring to this work for nearly fifty times or more. .
His unpublished works include a full-length intensive study of ‘Four Quartets’, a novel in English, many critical essays, socio-political writings etc. He also wrote a long critical introduction to E.M Foster’s A Passage to India for the Course material of the English (H) conducted by the Distance Education Directorate of B R A Bihar University, Muzaffarpur. He also guided a Ph.D dissertation titled ‘Characterisation as Skill in the Plays of G. B Shaw.’ undertaken by Dr. Ajay Kumar Srivastava, his former student, and now a senior Professor in B R A Bihar University, Muzaffarpur. For nearly 15 years, he gave several serious academic lectures on Literary and General topics to the college and university teachers participating in Orientation and Refresher Courses conducted by the Bihar University branch of UGC’s Academic Staff College since its inception in 1987. He had imbibed that true and complex spirit of the 60s–idealist, rebellious, down-to-earth (almost throughout his life he would spend an hour or so in the kitchen garden tending plants) and carrying that streak of detachment….That made him decide not to finish his doctorate on Dylan Thomas, the same streak that made him decide not to join Indian Foreign Service (Allied) on selection in 1964, among many other things, that we would generally be tempted to cling on to. The obituary report titled ‘Contributions of ex-principal recalled’, published in ‘The Times of India’, Patna edition on 30 November 2011 stated, among other things, that ‘Sinha was fondly remembered as principled, committed teacher, social activist, Gandhian and an exemplary human being’. Another leading national Hindi daily ‘Dainik Jagaran’ called him ‘a scholar of English and a thinker’. .
Prof. Sinha was born and brought-up in the Nehruvian-era, but under the influence of the Socialist questioning of the era. ‘Nehru’ was a cult figure and the established political and intellectual class worshipped him like a hero. Almost as a reaction to it, and under the influence of the critical enquiry of the Nehruvian era by stalwarts such as Acharya Narendradev, Ram Manohar Lohia and Jayaprakash Narayan, on the one hand, and the training of intellectual detachment imbibed from the study of English literature, Prof. Sinha came to detest anykind of ‘vyakti pooja’ or ‘hero-worship’ or the ‘cult of personality’. At the highest level, this was evident in the manner he read and admired even the philosophy of Buddha, Marx, and Gandhi keeping his own individual skepticism intact. Hence, as it were, alongwith Buddha, there always was the Vedantist philosophy of Vivekananda as a parallel text to read, with Marx, a Gandhi was always there as a ‘counter-text’, with Gandhi, there always was an Ambedkar to contend with, with Nehruvian Socialism, there was the Socialist ideals of Acharya Narendradev, Lohia, and JP to provide an inclusive and critical perspective. No wonder, on the more practical level, this meant that he could never bring himself to admire uncritically the political leaders with whom he worked or others whom he came across. Thus, even among the anti-establishment socio-political parties and platforms, he remained on the other side of the fence to the ‘established’ power structures of these organisations. Actually, Prof. Sinha’s general refrain was that a teacher must be able to ‘stimulate’ the minds of the students. For him, that was the most enlivening ideal for a teacher, much more than his acquiring of degrees or fellowships or scholarships. Teaching was a life-long commitment, a socio-political commitment, so to say, and any teacher’s knowledge or research was good enough only if it got delivered effectively in the classroom lectures and the students got benefited out of that. It was this idealism and commitment that goaded him to continue teaching passionately despite the overall deteriorating standard of higher education in Bihar, especially in the later part of his career, when the professors taught without getting paid for months. 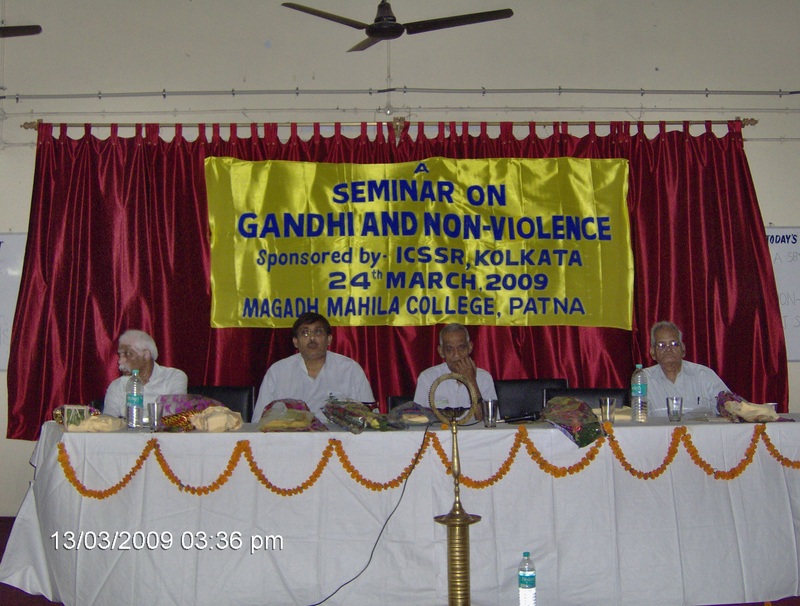 Whereas a good number of professors in Bihar in the 1990s sought assignments in foreign universities, especially in the middle east region countries like Yemen, Oman, UAE etc, which was quite understandable considering the suffocating– intellectually as well as financially– environment on the campus in the 1990s, Prof. Sinha steadfastly continued to put all his energies and expectations, much to his own personal and intellectual stress, in teaching students of English literature who were mostly drawn from the rural areas of North Bihar. Prof. Sinha negotiated with the dilemma of committed teaching in the midst of deteriorating standards of higher education in Bihar’s educational campuses at various levels. Many a time, he organised meetings, observed dharnas, undertook fasts to bring the attention of the authorities to improve academic environment on the campus. At the same time, he saw to it that at the personal level, he taught honestly, reaching college to take classes on time, and discouraging students to take paid private tuitions from college professors–a ‘virtue’ which sounds so unfortunately because of the rampant prevalence of such a practice all around him. The students and even his junior colleagues always had free access to him to consult on matters of literary texts without him ‘charging’ for any such ‘consultations’. On the other hand, he always considered himself just a ‘student’ of literature and not its ‘scholar’. Two relevant anecdotes: In this context, it may be worthwhile to mention two anecdotes from Prof. Sinha’s life, which tell a lot about his personality and his committed approach to work, where idealism merges harmoniously, almost anonymously, with day to day practicalities. Once, a Dalit lady was appointed as a Lecturer in one of the departments of Prof Sinha’s own college, L S College. Being a bastion of the so-called forward castes, a lot of hue and cry and misinformation campaign was launched against her by the vested interest groups calling her below merit and inefficient. Prof. Sinha, being a respected teacher as well an active Teacher’s Association member, always argued in her favour in meetings, get-togethers and informal conversations. However, taking a cue from the vested interest groups, students would generally not allow the concerned Lecturer to take classes peacefully, booing her and creating nuisance. It so happened that once while Prof. Sinha was taking class of English Honours, the noise coming from the neighbouring classroom was disturbing him and his class. He immediately dashed into the neigbouring room and found that it was the class of that lady Lecturer with students making fun of her and booing. Prof. Sinha entered the classroom and suddenly there was complete hush and silence. He looked at the Lady teacher and requested her to ‘carry on’. He himself did not reprimand the students, but only stood silently for a few minutes almost like a moral force. Being a very senior Professor, no student tried to create any disturbance, even when he left the classroom to carry on with his own class. This act was actually repeated by him on two-three occasions. Gradually, the Lady teacher gained in confidence and learned to handle unruly students and the students too realized their mistakes by and by. Another anecdote is about a poor student who wanted to take tuitions from Prof. Sinha. Prof. Sinha rarely did private tuitions—and if at all he ever did so, that was only due to long periods of non-payment of salaries or long periods of strikes, which were becoming a norm on the campus. But he was always available to teach students free of cost. However, this student, even though quite poor, was not ready to take tuitions without paying him anything. It was a strange dilemma for Prof. Sinha because he also perceived that the student did not seem to be in any condition to pay him and only out of a heightened sense of self-respect he insisted on paying. Prof. Sinha found a way out. The student was a Muslim and knew Urdu. Prof. Sinha sort of struck a deal with him saying that after giving him English tuitions every evening or whenever he happened to visit, Prof. Sinha would like to learn Urdu from him. The student was at first taken aback but happily agreed for the deal. Hence, one could see this unique scene on occasions, when the student after taking lesions in English from Prof. Sinha, would spend some time to teach him Urdu alphabet. This way Prof. Sinha could negotiate a dilemma of not taking money from the student while at the same time respecting his sense of self-respect. That post-colonial rebellious streak also took him to social activism. Despite the reservations which many teachers of English, in particular, and others had regarding Prof. Sinha’s penchant for socio-political work, he continued to contribute intellectually as well as ‘physically’ in that arena. That sometime brought him to the distribution of political pamphlets, pasting of posters in the middle of nights, and also selling of his socio-political periodicals like Samadhan, Chingaari, Yuva Jagaran etc with his associates and students at the railway stations, main markets, residential areas etc. But here also, he remained an outcaste. Coming from the apparently ‘elite’ class with an English literature background, his championing of the cause of the marginalised and the depressed classes from the Socialist and Sarvodaya standpoint was viewed with suspicion by the leaders of these classes, and while many of his ‘followers’ went on to reach state assemblies and also the Parliament of the country, his ‘clean, no-nonsense and intellectual style politics’ pushed him onto the margins, despite working very closely with the likes of Lohia, JP, George Fernandes, Charan Singh, Karpoori Thakur etc. He realised it all, saw it through but could not change his style. He would smilingly say, ‘people consider me a holy cow, who needs to be worshipped but not to be followed’. Sinha, early on his life, got influenced by Communist Movement in the country and joined Communist Party of India in early 1960s. However, soon after, he found the Communist ideology too limiting in the Indian scenarios, especially due to the unique conflict that caste-ridden Indian society faced. Sinha, under the influence of both Marx and Gandhi, found the Socialist ideology of Acharya Narendra Dev and Rammanohar Lohia as the most suitable to understand as well as work for an equitable society in India. Delivering his first address from a public platform in 1967 at a mass meeting at Darbhanga presided over by Shri Rammanohar Lohia, Prof. Sinha soon carved a niche for himself, joining anti-Congress forces. At Motihari, he organised agitations as well as seminars against the Brahaminical symbol of Yagyapawit (Janeyu) in the 1960s. Also, he not only steered clear of the casteist organisations like ‘Chitragupta Associations’, he publicly campaigned against such outfits. Toeing the line of his father, he never performed, nor he inculcated among his children, the ‘puja’ of ‘Kalam-Dawaat’ on the occasion of Chitragupta Puja–the ancestors of the Kayasthas, to which Sinha family belonged–considering it tokenism of the highest order in the name of knowledge and learning and completely casteist. One may say that the incident left an indelible impression on Prof. Sinha who found, as it were, the right impetus to be a committed and socially awakened teacher. During the 1974 Jayprakash Movement in Bihar which soon spread all over India,  Sinha became the founder-member of the Motihari District Co-ordination Committee formed to carry forward the agitational and awareness programmes related to the 1974 movement. Moving on to Muzaffarpur in 1975, he became one of the key campaigners of electoral success of George Fernandes who fought the historic 1977 Lok Sabha elections from Muzaffarpur constituency from jail. In the 1980s and the 1990s, students from all streams—from SFI, IPF, Chhatra Janata, Chhatra Yuva Sangharsh Vahini, AIDSO and also, sometimes, ABVP and never from NSUI—kept coming to him for guidance and kept inviting him for lectures in their conventions, meetings etc. Through organisational elections, he became a Vice-president of the Muzaffarpur District Lok Dal, and later assumed charge as the Working President. He was appointed as state convener of Bihar Lok Dal’s Intellectuals’ Cell, as well as Member of its State Executive in early 1980s. This was at a time when the present Chief Minister of Bihar Shri Nitish Kumar was the President of Yuva Lok Dal; and the former Chief Minister Shri Lalu Prasad Yadav, as a young MLA of the party, had paid a visit to Prof. Sinha’s house as an emissary of Chowdhary Charan Singh, to thank him for organising a successful public meeting in Muzaffarpur in 1980 for Chowdhary Charan Singh, the President of Lok Dal and a former Prime Minister of India. During this period, Prof. Sinha worked very closely with leaders like Ram Vilas Paswan, Manjay Lal, Hind Kesari Yadav, Ram Sanjivan Singh etc. At Muzaffarpur, besides George Fernandes, some of the political leaders and activists of the left-oriented and of Janata Pariwar who worked very closely with Prof. Sinha included Shri Suresh Achal, Shri Kamal Paswan (later an MLA in Bihar), Dr. Ramchander Purbe (for fifteen years Education Minister under Chief Minister Lalu Prasad Yadav and Smt. Rabri Devi), Shri Anand Bhushan (Lok Dal leader), Prof. Shailendra Nath Shrivastava (worked eminently for Literacy Mission in Muzaffarpur), Shri Nalini Ranjan Singh (SUCI MLA from Kanti), Shri Arun Kumar Singh (State Secretary, SUCI), Shri Harender Kumar (later an MLA and then President, Chhatra Janata), Captain Jainarayan Singh ‘Nishad’ (later Lok Sabha MP), Shri Vinod Prasad Singh (ex-MLA), Prof. Ragahav Prasad (ex-MLA and ex-State President of Lok Dal etc. In 1981, while Prof. Sinha was still an elected General Secretary of the Combined Teachers’ Association of L S College and Bihar University P G Department faculty members, a very strong body and virtually the representative of the voice of the college and university teachers of the North Bihar, he was appointed as Proctor to L S College, Bihar University by the Vice-Chancellor to improve and maintain the overall academic environment on the campus and to aid and advice the administration on the same. Since as the General Secretary, Prof. Sinha had been in the forefront to raise issues related to maladministration on the campus, he readily gave his consent to be a Proctor as offered by the Vice-Chancellor. It was indeed a ticklish situation, to be part of administration as well as being a General Secretary of the Teachers’ Association, still Prof. Sinha agreed to be a Proctor. Moreover, Prof. Sinha had the greatest tradition of Proctorship in mind when publicly prominent members of teaching profession of an educational institution are appointed to positively influence the agenda of the administration for the greater common good. However, it so happened that when the formal notification for his appointment as a Proctor was issued, it also stated that he would be paid ‘honorarium’ for the Proctorship. Prof. Sinha took a strong exception to it because when the informal offer was made by the University Administration, there was no mention of any extra honorarium to be paid for the assignment. Prof. Sinha resigned in protest, while stating that he saw no reason why there should be any extra payment involved for Proctorship, when he was already drawing salary as a Lecturer and he considered it his bounden duty to work for the improvement of academic atmosphere on the campus. He quit mentioning that the notification had caused ’embarrassment’ to him. In order to make the protest as one of dignity of the teachers per se, he used the letter head of the ‘Bihar University Teachers’ Association’ and signed as its General Secretary. This relates to the formation of the Proctorial Board for L S College and my appointment to the Proctor’s post. I fail to understand why the post of Proctor has been made remunerative. Being a teacher, I consider it my primary duty to help the administration in improving discipline on the campus. For the discharge of my primary duty, I do not need any additional incentive. The proctorial assignment is causing embarrassment to me. I, therefore, find myself unable to accept the same. On my own behalf and on the behalf of the Teachers’ Association, I assure you full co-operation in matters relating to the improvement of academic atmosphere on the campus. It is rather ironical that while he chose long cuts in life, life chose longer cuts for him. While some severe, life-changing and deeply disturbing family problems slowed him down, he still somehow grappled with his dilemma of remaining faithful to his teaching profession vis-à-vis his socio-political work. It was a dilemma worth the comparison with the ones faced by Shakesperean tragic characters—how to be true to one’s basic responsibilities of being a teacher while being part of issues that also impacted the academic environments. Somehow he found a balance whereas the teacher of English literature was not supposed to be immersed in his literary texts only oblivious of his socio-political and economic environs, but he was also called upon to engage himself with social issues. And this he followed in concrete terms. And though his personality embodied the both worlds, it did cause untold suffering and struggle to him as a human being. Behind the flourish of language, depth of understanding and empathy with social causes that came to us as a well-made ‘product’—he fancied his lectures as a kind of performance whereas the teacher had to act out his interpretations in loud, lucid and lingering voice in order to reach out to the students who came from various socio-economic backgrounds and had differing levels of understanding—there were many disturbing personal and domestic factors that were all kept under painful control. No wonder, Hemingway’s‘courage is grace under pressure’ were his most quoted words. Donation of Books to Motipur College: When the Motipur College of Muzaffarpur district was to be granted the status of a constituent college of Bihar University by UGC, its governing body of the college through Prof. Abhay Kumar Shrivastava of its Chemistry department (who was also Prof. Sinha’s next door neighbour at the time in around 1980 at Ramani Mohan Garden, Kalam Bagh Road, Muzaffarpur), asked for some books for their college library. Without blinking an eye-lid, Prof. Sinha donated more than 200 books from his personal collection. Such a gesture was rather unusual, because all the books were bought out of his personal hard earned money. The College sent him a message that his name would be displayed in the college library as one of the donators of books to the library. One does not know, however, if Prof. Sinha ever bothered to find out if the college kept its promise–for him the fact that books would be made available to the students studying in the interior part of North Bihar was a big satisfaction in itself. Interestingly, Prof. Abhay Kumar Shrivastava, who later moved to join L S College, became Bursar, when Prof. Sinha became the Principal of the College. 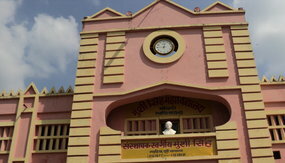 Further Prof. Shrivastava himself rose to become the Principal of the college. Who cares for poetry in the 2000s? This question arises in the mind of even those who care for poetry, because caring for poetry or any other art form cannot stand on its own. Life has always been a tangled web, and yet men and women have never given up caring for life. It is a truism but worth recalling that a true work of art helps us–and each work does it in its own way–in disintegrating the essential from the inessential, and makes life and living less bewildering and more meaningful. The fascination for the big, long word, more for the word itself than for what it means or suggests—this is almost a sensual fascination. ‘Almost’ because we shy away from such a thing as word—fascination. And words don’t die. Memories of places, those we loved and are no more, fade away for ever, but words walk out of the cold storage, as it were, and surprise us like forgotten acquaintances. They sometimes come to stay. Per-so-na-li-ty…how did Ram Bahadur negotiate the tentative beginning, the soft and stable rise, the silken yet steady fall of the five-syllable word? The poor weaver might have winced as the father drooled. Despite his some English, Ram Bahadur couldn’t catch the sense of the time. It was time to dare more and drool less. It was time to cut down on words, on personalities. Shiva won’t wait for the cloud caused by Veer’s illness to disperse. From books of history he had learnt that the contradictions can’t be wished away. The conclusion is never reached; one only moved towards it, uncertainly yet doggedly. Moreover, Shiva was always short of patience. He’d start a thing and then wonder what to do next. So he brushed aside father’s advice to wait and had the old building—except for the older northern portion—razed to the ground. The entire family was made to seek shelter in the sensibly unrazed portion which comprised one very large room (here trunks served for beds) and dung-smelling shed, where the cows (they were never more than two in number) were hustled into in rains and cold. During the two month long summer vacations, Shiva read and mused over Shakespeare and Milton in this dungish but cool corner. If one has to just name a few writers and thinkers who shaped his persona, his world view and whom he kept reading and also kept teaching about, it should be something like this: Buddha, Gandhi, Marx, Lenin, Vivekananda, Ambedkar, Nehru (with reservations), M N Roy, Acharya Narendra Dev, Lohia, JP, Vinoba Bhave, Donne, Shakespeare, Byron, Keats, Hardy, Browning, Wilde, Eliot, Lawrence, Hemingway, Tolstoy, Dostoevsky, Yeats, Dylan Thomas, Premchand, Jainendra Kumar, Muktibodh, Ajneya, Marquez, Neruda etc. However, it would be lopsided if his life-long admiration for the Hindi film star Dev Anand, in particular, and to the great entertaining and informative role played by Hindi cinema, in general are missed out. Similarly his love for the Pete Samprases, Nadals, Federars, Maradonas, of the world needs to be mentioned in the similar vein which many a time kept him glued to television during ungodly hours—the same hours that he chose to say good night forever in his characteristic unassuming manner. A reference to a write-up on his last days written by his son, which appeared under the heading ‘The Strong, Brown God’ in the ‘Speaking Tree’ Column of the Edit page of ‘The Times of India’ may be in order to underline the sense of detachment with which Prof. Sinha lived life. Bara vah ruh jo roye bina tan se nikal jati. Great that knowledge which doesn’t cause useless strain. ^ ‘The Hindu, 25 November, 2005, New Delhi. ^ ;The Hindustan Times’, 28 January 2006, New Delhi. ^ Arun Kumar Sinha,Kumar Vikram (2010). Ramdhari Singh Dinkar: Makers of Indian Literature (English Translation of Hindi original by Prof. V N Singh), Sahitya Akademi, New Delhi, ISBN 978-81-260-2664-7. ^ “Contributions of ex-principal recalled”. The Times of India. November 30, 2011. ^ ‘Dainik Jagaran’, 30 November, 2011, Patna. ^ ‘Prabhat Khabar’ (A National Hindi Daily), 30 November 2011, Patna. ^ Arun Kumar Sinha, Kumar Vikram (2010). Ramdhari Singh Dinkar: Makers of Indian Literature, (English Translation of Hindi original by Prof. V N Singh) Sahitya Akademi, New Delhi, p. 62. ISBN 978-81-260-2664-7. There was so much to learn from him, we never have had that opportunity. A “True Hero” in all his achievements. We really miss you . Thanks Bineeta for your comments. Keep reviewing the site and offer your comments, and suggestions–and also share the information of it among the interested audience. best. It is very comprehensive expression about his whole life. Make it more reach. Thanks, Vinayji, you may like to see some of the new sections that have been added, and provide your feedback.